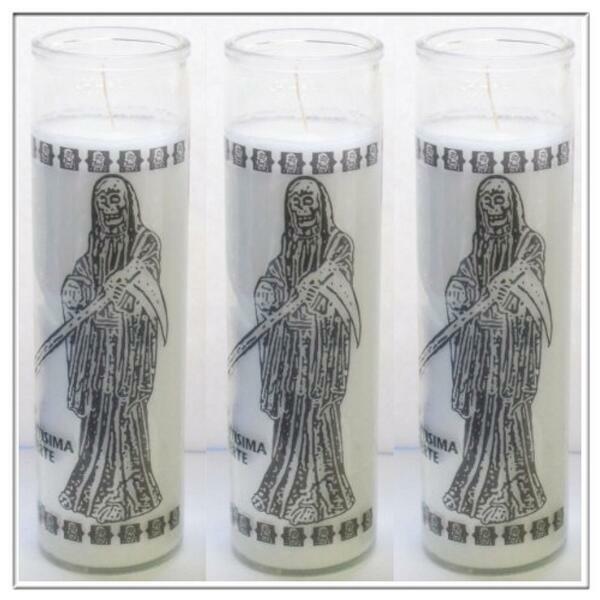 Absent from media accounts of Santa Muerte is her role as a powerful curandera or healer. Many devotees first approach the Skeleton Saint for health-related reasons. Such is the case for Missy Barkley, the first Australian devotee I’ve come across. Below is Missy’s account of how she came to believe in the Bony Lady…..
I’ve never been religious. At all. In the past if pushed I would’ve said “existential nihilist”. I love reading New Scientist magazine. What has happened to me is very recent, and all I can do is try to go with it. Please forgive me if I struggle trying to explain. I’m 32 years old, female, no children. Until a year or so ago my job was setting up and opening new bookstores for a large chain over here – a real boom industry that is nowadays! I’ve suffered terribly from endometriosis since I was an early teen. I’ve had many operations (and operations to fix problems caused by those operations), I’ve been to clinics, had to take all number of “interesting” drugs and different types of hormone injections – and all that added up to was restricting it to being sick once month rather than constantly – which was great! But still, every 25 days I’d be crippled completely for 4/5 days. And that night I did something Ive never done before – I prayed. I looked at a bunch of different prayers on santamuerte.org regarding health, and wrote out something that felt comfortable to me (not coming to this through religion or god means that I have to make tiny changes here or there). I apologized for taking so long to get to Her. I acknowledged Her as my divine mother, and the mother of us all, and Her power as a healer and protector of all those who suffer and come to Her on their knees praising Her. I asked Her to please consider my petition. I asked Her to please help me, please alleviate this crippling disorder, that I know it’s within Her power to help. I said that if She lifts my suffering in any noticeable way that I will not deny that it was She that helped me, and that She could have the skin of my right arm. I don’t remember exactly, mind you, I’m just going from what I remember – I was at breaking point. Physical pain is one thing – what kind of hell is it to have a clock on it and be well aware of exactly when it’s coming every few weeks? It is a legitimate miracle. So now I’m Hers and I’ll forever sing Her praises. I mean, I always was I guess, but I was unaware of it. For a reasonably educated person, that has always been completely bah-humbug regarding religion, learning to have faith is a feat unto itself for sure! I didn’t believe in anything like god or miracles. Being a bit of a science nerd I’m well aware that the nature of reality is so much more bizarre than we can comprehend, but beyond being blown away by being here and being conscious enough to appreciate that fact I was a skeptic. 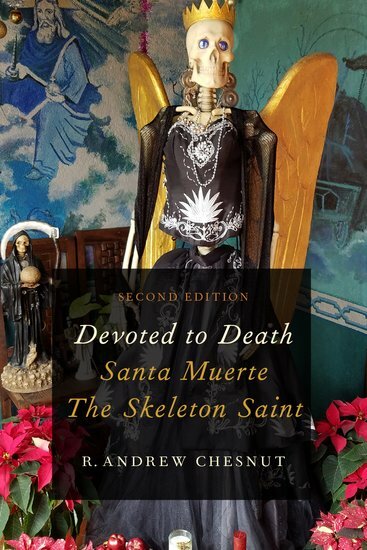 I guess I’m still a bit of skeptic for all else other than my most beloved Santa Muerte. She is everything! I feel different now – beyond the absence of approaching pain hanging over me. I feel stronger (not the right word but close enough) and I feel like someone has my back which is the most remarkable feeling. Now I’m looking for some type of tattoo design for my right arm because that was part of my promise to Her if she helped! What a beautiful story.La Santisima has the power to perform miracles. What an amazing story. I am new at this and I do want to learn more about her. I’m very interested.